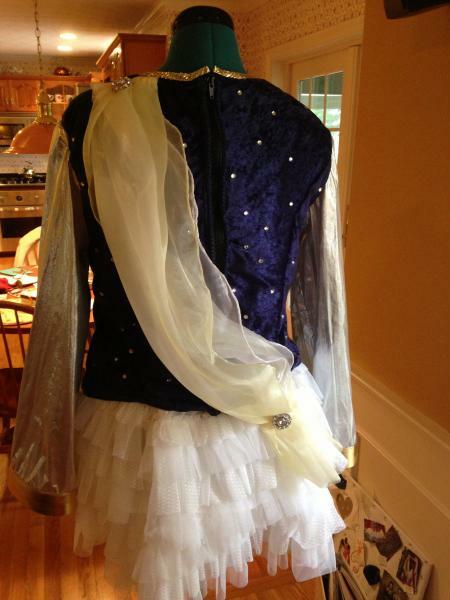 dance.net - My Solo Dress!!! (10137744) - Read article: Ballet, Jazz, Modern, Hip Hop, Tap, Irish, Disco, Twirling, Cheer: Photos, Chat, Games, Jobs, Events! This is the dress I made for my Senior Project in high school. The flower with streamers was hand-drawn, cut, and sewed on. I also did the edging on the cape by hand. The skirt is separate and is made from several toddler skirts I found at Target. I hope to make a few other skirt options soon. 4 Replies to My Solo Dress!!! That's lovely! Well done! 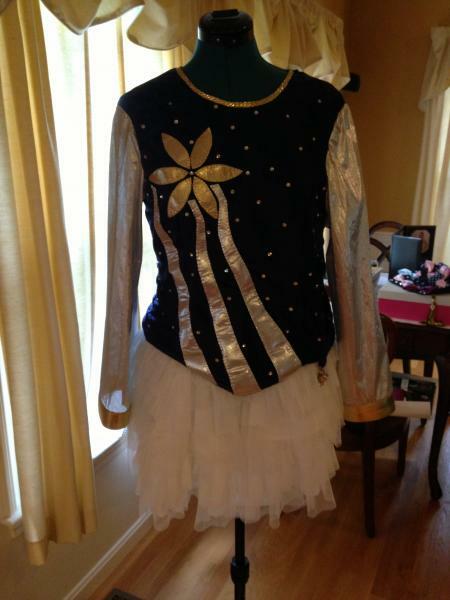 I really like the applique on the bodice. If you want a quick way to make the skirt stand out to the sides a bit more: add an off-the-peg white petticoat.